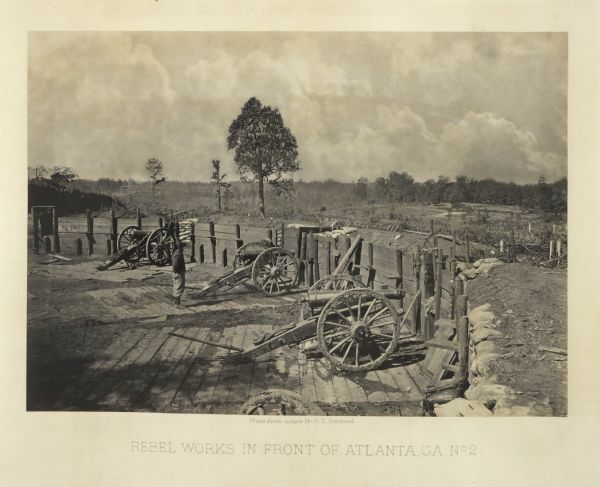 Rebel Works in Front of Atlanta, 1864. 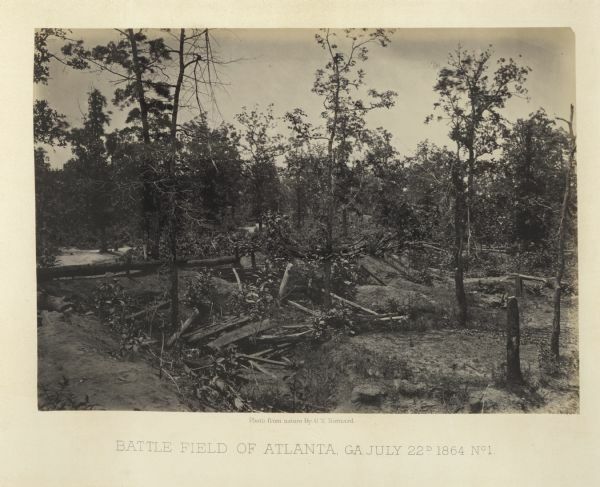 The Battle of Atlanta was part of the Atlanta Campaign which began in May 1864 and lasted until Union forces took possession of the city on September 2, 1864. 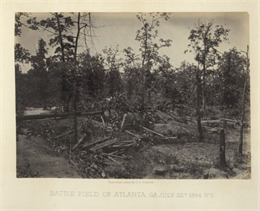 Union forces began their march toward Atlanta on May 7, and by July had advanced to the city's outskirts. On July 22, they met 37,000 Confederate troops in a battle that some historians consider one of the most desperate and bloody of the war. It ended in a Union victory. At the end of the day more than 20 percent of the Confederate forces were killed, wounded, or missing. The 1st, 12th, 16th, 17th, 22nd, 25th, 26th, and 31st Wisconsin Infantry regiments and 5th Wisconsin Light Artillery battery were involved on July 22, 1864. Senior Ticket. Ag Day at Stonefield.